Looking for some great suggestions for other web series in the "thriller" vein while you wait for Season two of Ragged Isle? The ladies of Indie Intertube did a show just for you! PLEASE watch as there are some amazing series out there to explore. 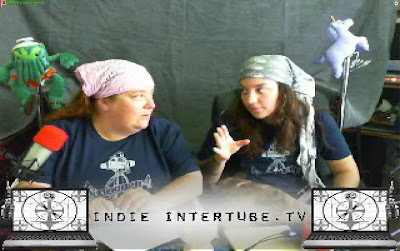 Hosts Destini and Shad showed their support for our series by wearing Ragged Isle shirts for this episode! So cool! We even got mentioned and had the first 2 minutes of episode one shown at the end of the show. If you want to skip to our part it's at 0:57:00 and don't be thrown by the lip sync issue. 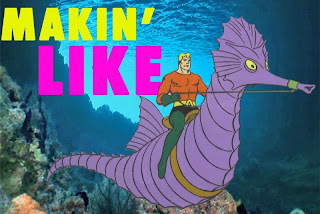 They're still working out some kinks in their brand new video show. We are extremely honored to be mentioned by these two ambassadors of independent web entertainment. They've been following us from the very beginning and have exposed our series to a much larger world. Why not check out their show and comment to let em' know you appreciate their support for our series? 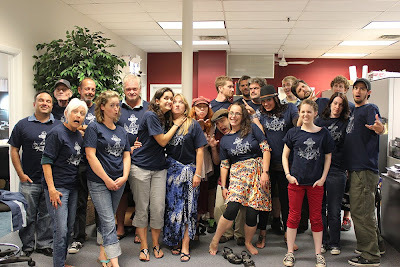 Tonight, the read through of Ragged Isle was simply beautiful. This story has really had so many forms that sometimes you wonder if we have gone in the right direction. Well, after the read through tonight I know that we chose wisely. Thank you so much to all the energetic and talented actors and crew for donating the most precious thing of all: time. 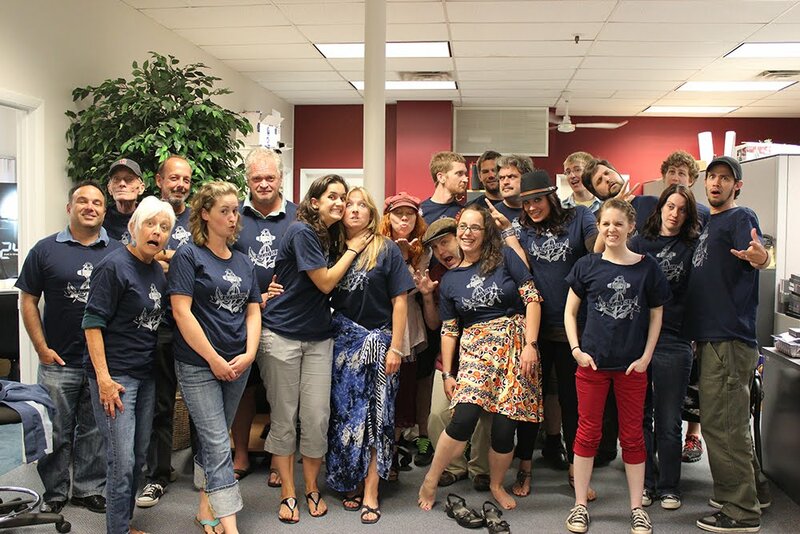 Without all of you Ragged Isle is just words on a page. We can never thank you enough. Ahh! Oh, wait. That's fine. 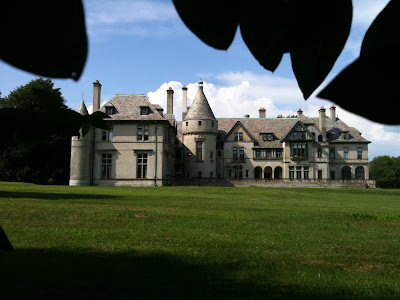 I was somewhat enraged today when I learned that a location we shot at last year, as well as having many connections actors and otherwise to, was trying to make us jump through hoops and shell out a hefty amount of cash to use their venue. They were given a no thank you and I fumed for a bit as Barry tried to talk me down. I had told myself this very important reason why the scenes must be shot there and was very excited and set on that idea. When I learned that the scenes would not be shot there it was as though they stabbed my idea with a huge knife ripping a giant hole in the heart of the story. At the height of my rant Barry came up with a brilliant idea - another location. A location we have shot at before and have a very supportive contact at. Okay. I am slowly letting go of my reasons why it had to be the other place and embracing this new idea. Just roll with what comes. That is the secret of survival when making a web series. 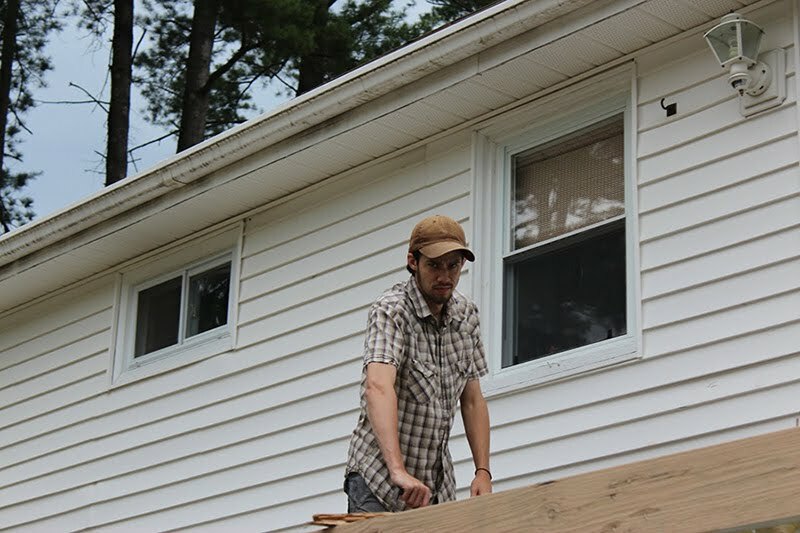 Barry and I spent this past Friday through Sunday ripping down our old deck, redesigning, and starting to build a new deck in scorching heat so we have been out of the Ragged Isle world for a bit. 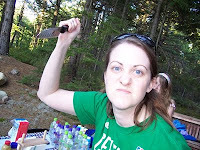 We are back now, until we go to our annual family camping weekend in Bar Harbor on Friday, at least. We will be taking the camera to get some nice shots up there. The list of things to complete is long and getting longer. It is hard to imagine completing this all in time but I know we will because we have to. 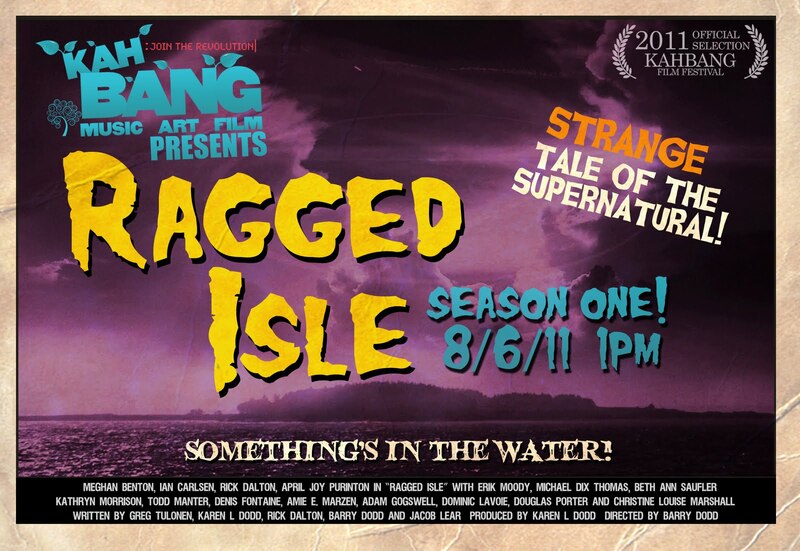 We start shooting Ragged Isle on August 3. That is very soon. Time marches on and we better keep up. Okay. Schedules. I am deep into this process, which is a major one. I have 10 days tentatively scheduled and plan to start putting some dates out tomorrow night with general times and not specific call times, you'll see. There are also 3 or 4 other locations that will be pretty easy to place in here and there and a few hold outs that we are still working towards. We are doing our best to ensure that Barry and I will be the ones having the long days and not the actors. Not all will escape, though. The scheduling process in an interesting one for me. It seems that when I first start all I want to do is stop and rip paper, although usually I just yell for stupid reasons for a few days at anyone near me. As the process continues and I sulk at my computer thinking how this was a horrible idea once and twice is madness, I look at my paperwork and realize that I have 4 locations scheduled with the scenes in proper order due to people's schedules. That moment is something to be cherished and I have passed that portion of this journey and I look forward to our time together this summer / fall. The images that Vicki and Paul are looking at in the library are a giant part of the mystery of Ragged Isle. Their dangerous investigation continues in season two. Okay. Progress. The scripts for Season Three have been sent out. Excellent. I spent most of this very hot day working on my pre-production grids, of which I have many. They are nearing completion and that is a wonderful thing. Some more tweaking tomorrow and they will begin to serve their organizational purpose. 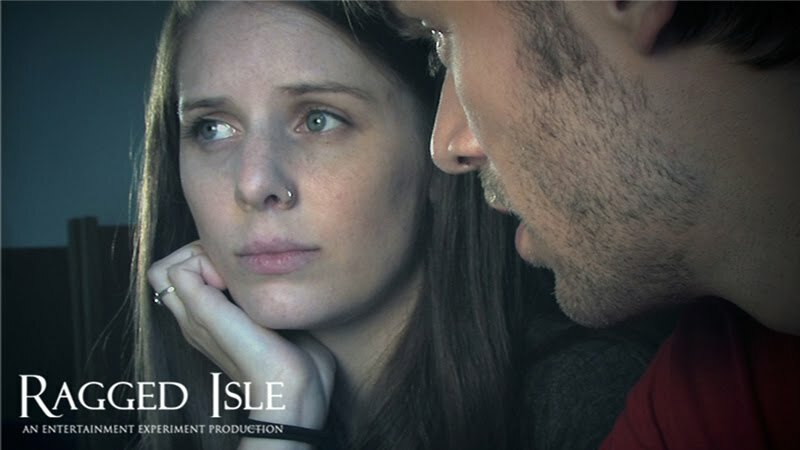 The multi -talented April Joy Purinton, who played Rachel Moody is Season One, will be helping out with the pre-production and production of Ragged Isle this year. I am very excited to have some much needed help with all the AD stuff. Her official title is 2nd AD but I call her a lifesaver. Just as an aside: At last count there will be 40 actors and 18 locations involved with this project. This will be more of a challenge than last year but we are up for it... I think. The picture is simply pure inspiration. The ladies of Indie Intertube have been so wonderful and supportive of Ragged Isle. They rocked the shirts and showed a clip on their show tonight. 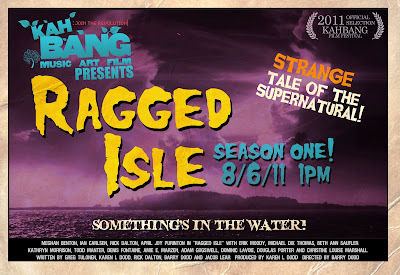 If you would like hear past reviews of Ragged Isle on Indie Intertube visit our Press Page: http://www.raggedisle.com/press.html. 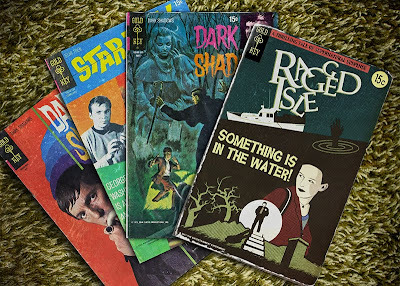 I just turned in final drafts for "Ragged Isle" season two and season three, completing the story and the series. The writing is done, finally. Oh, there will probably be a tweak or two over the next few weeks, but we're pretty well locked down. These episodes have gone through a significant revision process since we began. The first draft of the first season-two episode was completed in mid-February 2010, and since then, there have been dozens and dozens of drafts of all the episodes in season two, which eventually expanded and split into season two and season three. While the spine of the story (and the ending) have remained constant throughout the process, adhering the vision cooked up by the original "hive mind" writers group -- Barry Dodd, Karen Dodd, Rick Dalton, Jacob Lear, and myself -- there have been enormous changes to individual episodes, scenes, characters, motivations, and plot reveals. I am so excited to share it all with you, but there is so much work to be done before that happens. Like for instance, all the shooting, scoring, and editing. You know, stuff like that. It's exciting and strange to be done with this part of the process, after fiddling around with the writing for a year and a half. Now I'm now looking ahead to the acting, as I play a new character to be introduced next season. Excuse me while I throw up out of nervousness. Stick around. We have lots of surprises in store. We'll see you on the island! 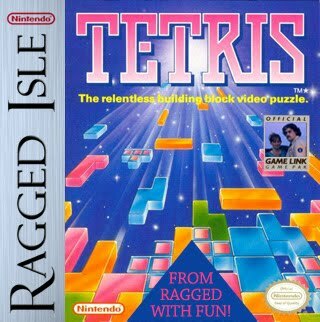 Karen and I have officially begun searching for new locations for Ragged Isle today! I have to admit this is one of my favorite parts of doing this series. Exploring this beautiful state is an adventure in itself and we are so lucky to live in such a picturesque part of the world. This morning we headed down to Kittery which is at the very edge of our state and New Hampshire to check out Fort Foster as a possible spot to represent the yet unseen "off limits" end of our island. As with all spots like this it all depends on the kindness of the folks that run the place but we'll do our best to be charming as we believe this could very well be perfect!